At the age of two, Ms Benichou began studying violin and piano. As an adult she’s balanced her musical lives: as a violist, and as a teacher of students ranging in age from toddler to young adult. Ms Benichou strives to make each performance the highlight of her career. The words of Pablo Casals strike a chord with her: at age 93, when asked why he continued to practice cello, he replied, “I’m beginning to notice some improvement.” In addition to her current positions in the Maryland Symphony Orchestra (as Assistant Principal Viola) and the Annapolis Symphony Orchestra, she’s played in the Baltimore Symphony Orchestra, the National Philharmonic Orchestra, the Delaware Symphony Orchestra, to name a few. Past jobs have also included Assistant Concertmaster of the Greater Lansing Symphony Orchestra and Principal Violist of the Bridgeport Symphony Orchestra. Throughout her training and professional years she has also had the great fortune to play under renowned conductors such as Yuri Temirkanov, Gunther Herbert, Marin Alsop, Sir Georg Solti, Daniel Barenboim, and Pierre Boulez. Teaching has been a central part of Ms Benichou’s journey as a musician and performer. Trained in the style of Ivan Galamian, her most influential teachers were Peter Slowik, Yizhak Schotten, Steven Shipps and Ronda Cole. Through teaching in the Suzuki method, she continues to learn and refine her own skills. But, more importantly (and perhaps more selfishly), through teaching, she takes part in the transformation that happens when students discover how to express themselves creatively, and accomplish what they didn’t imagine they could. Daphne has run a private studio for more than two decades, and works currently with the Bridges program in Baltimore City, which brings the classical music world to inner-city public school students. 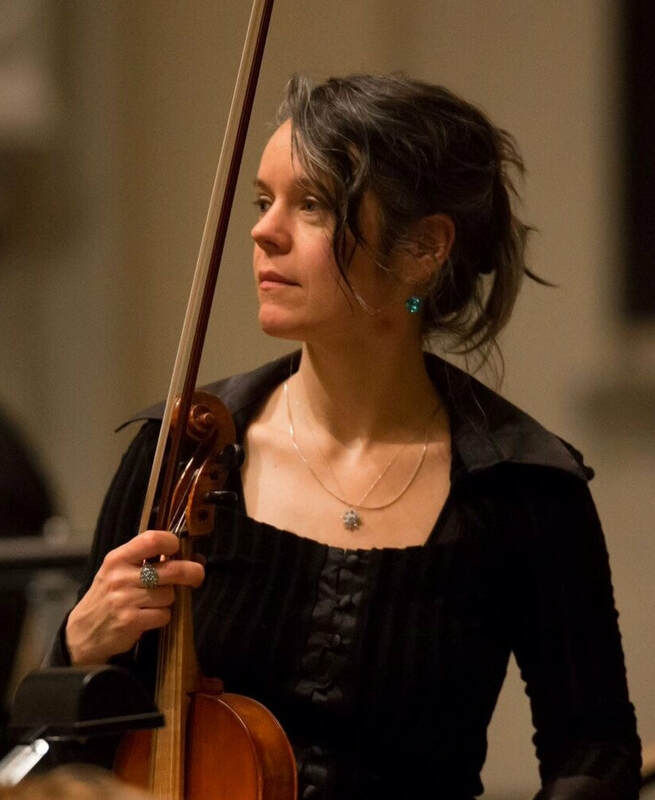 Ms Benichou earned her Bachelor of Arts in Ancient Latin and Greek simultaneously with a Bachelor of Music in Violin Performance at the University of Michigan. She studied at the Meadowmount School of Music during her undergraduate years, and later earned her Master of Music in Viola Performance and Pedagogy at Northwestern University, where she received a two-year fellowship through the Civic Orchestra of Chicago.